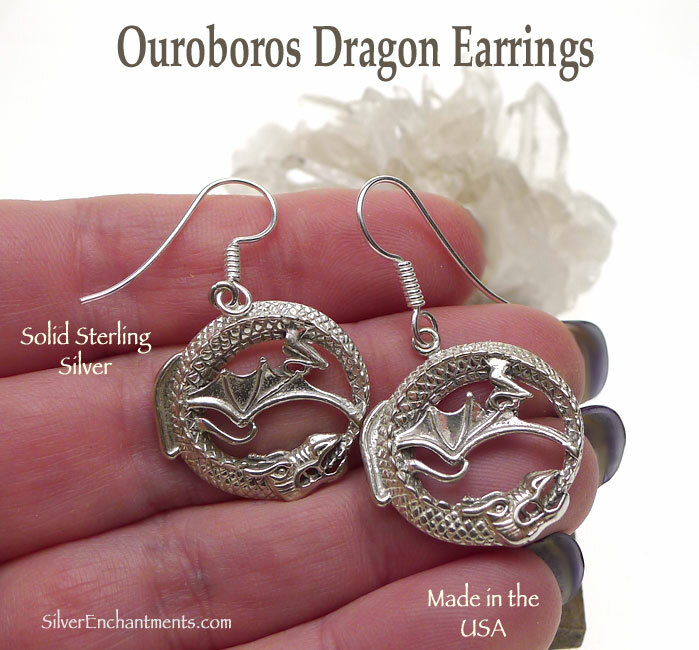 Dangling Charm Size : 24mm x 22mm = ~1" x 7/8"
On SS Earwires, these Dragon Ouroboros Earrings measure about 1-1/2" from top to bottom. Ouroboros Symbolism -- The Ouroboros (pronounced as Or-O-bOr-Os) is a snake, worm (wyrm), serpent or dragon biting its own tail and/or devouring itself. Indeed, the name roughly translates as 'devouring its tail' or 'tail devourer'. 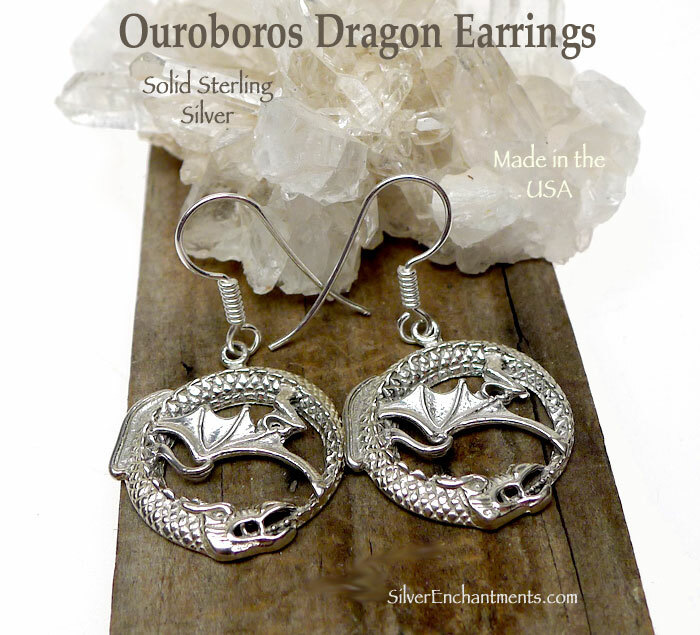 Alternate spellings include: oroborus, uroboros, and oureboros. It is an ancient symbol that's primarily associated with the Greeks, who gave it its current name, though it appears in many other cultures as well. It is one of the archetypal symbols, and may be as old as human civilization itself. It symbolizes many things -- time, the continuity of life, immortality, infinity, eternity, perfection, completion, the cyclic nature of the universe, the self-sufficiency of nature and the rebirth of the earth, to name but a few. The Ouroboros is the Universal Serpent which passes through all things -- the One, the All.